Soundway Records is a British-based independent record label founded and run by English DJ and music producer Miles Cleret. It started in 2002 with the release of a compilation of Ghanaian music from the 1970s : Ghana Soundz: Afrobeat, Funk & Fusion in '70s Ghana'. Since then the label has released a series of critically acclaimed compilation albums and re-issues of African, Caribbean, Latin and Asian music from the 1950s - 1980s. These include the best-selling compilation Doing It In Lagos (2016) and others such as Nigeria Special, Ghana Special & Kenya Special compilation albums that Cleret spent years bringing together. With these compilations alongside a string of highly sought-after rare reissue albums, the label has also began in 2012 to develop a series of original contemporary releases. These include releases from acts such as Batida, Ibibio Sound Machine, Debruit & Alsarah, Fumaca Preta, Ondatropica, The Meridian Brothers, Bomba Estereo, Family Atlantica, Dexter Story, The Heliocentrics and Lord Echo. In 2014, Soundway was named by The Guardian as "One of the 10 British Labels defining the Sound of 2014", and in 2017 was named "Label Of The Year" at the Worldwide Awards in London founded and hosted by Gilles Peterson. 2016 release; 2019 repress. Originally released in the lead-up to Lord Echo's third album Harmonies (SNDW 090CD/X-LP, 2017), the Just Do You (Disco Mix) 12" has carved out its own special place in many a music lover's heart. In 2016, Lord Echo emerged with a slice of pure disco dub indulgence with all the rough trimmings that have made him a cult favorite. With the real-life concerns of the DJ always foremost in his mind, this 12" has something for every occasion -- two different vocals and a radical excursion into the realm of left-field disco dub. Features Mara TK and Toby Laing. 2019 repress. On the first side South African singer Shaluza Max's massive Mashkandi/house anthem from 2002 gets a first release on vinyl. With a soaring Zulu vocal and big sound it's a fitting reminder of a very talented musician who worked as a well-respected producer, composer, and arranger. On the flip is a fairly unknown track from the mid-1980s from one of the biggest names in African music, Tabu Ley Rochereau. 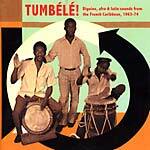 A kind of almost Balearic, proto-house, Congolese pop cut with drum machines and trademark sweet Congo horn section, "Hafi Deo" is a beautiful track that fell into obscurity. Following their self-released debut EP, Flamingo Pier (DJ residents Luke Walker, Dominic Jones, and Bradley Craig) have crafted four dance floor-worthy tracks influenced by the boogie, disco, Afro and classic house. Slick, rolling disco synths and punchy drum machines are woven in with Afro-centric percussion and dreamy vocal chants, for an exotic disco-boogie journey from start to finish. Early support for the EP is already coming from Bill Brewster, JD Twitch (Optimo) and Ray Mang. The EP is being released to coincide with the Flamingo Pier Festival in Waiheke, New Zealand. Soundway presents the first in a new series of 12" releases which will make available many hard-to-find tracks on loud, DJ-friendly pressings. On Asafo/Enye Woa are two late 1980s Ghanaian highlife cuts taken from the catalog of Nakasi Records. 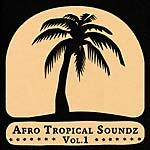 The A-side showcases a track from Jon K, a rework of the traditonal Fanti song "Asafo Beesuon". On the B-side, Pat Thomas needs little introduction; this dance floor-heavy cut has eluded recent reissues. With horns arranged by long-time collaborator Ebo Taylor, it's an instantly recognizable sound that also features Rex Gyamfi, himself a well-known purveyor of 1980s highlife. Soundway presents a reissue of Brazilian duo Grupo Controle Digital's only album, A Festa É Nossa, originally released in 1988. The title track "A Festa É Nossa" having circulated in DJ sets of influential tastemakers, the album has become highly sought after by electronic fans and collectors alike. 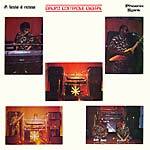 Lo-fi synths and cruising bass lines permeate the record, influenced by the group's Brazilian contemporaries at the time such as Tim Maia, Cláudio Zoli, Secos E Molhados, and rock outfit Made In Brazil. Band members Billy Jaguar and Gel Valiery regularly performed in various groups in São Paulo throughout the '80s and '90s, but after Gel passed away, Grupo Controle Digital was no more -- the band and the album faded into obscurity and Billy became a priest, working with gospel music. It remained that way until Brazilian DJ Millos Kaiser (from label Selva Discos, and one half of Brazilian street party organizers Selvagem) tracked down the remaining member of the group to be able to include one of their tracks on the highly anticipated Soundway compilation, Onda De Amor: Synthesized Brazilian Hits That Never Were (1984-94) (SNDW 125CD/LP, 2018). Audio restored by Neal Birnie. Artwork restored by Lewis Heriz. Remastered by Frank Merritt at The Carvery, London. Tip-on heavyweight sleeve. 16 rare synth cuts from '80s and '90s Brazil, compiled by Brazilian DJ Millos Kaiser. Some crate-digging compilations are often the result of someone hand-picking their choice favorites from another country's musical history, perhaps unaware or uninvolved with its cultural lineage in the process. 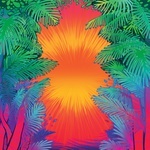 On Soundway's latest release -- a treasure trove of synth jams, pop, samba boogie, Balearic, and electro from '80s and '90s Brazil -- the tracks are picked by Millos Kaiser, one half of the Brazilian duo Selvagem, who are at the helm of throwing some of the country's best dance parties. It's a rare compilation that offers Brazilian music actually picked by a Brazilian. Whilst names such as Ricardo Bomba, Villa Box, Fogo Baiano, Electric Boogies, and Batista Junior may not be household names, they tell an untold, yet rich and important part of musical history in Brazil. The release also covers a decade that has been intentionally forgotten and brushed aside by many in the country. Onda De Amor is a release that is loaded with smooth grooves, bubbling bass, glistening synthesizers, funk-strutting guitar lines, and sheen of production that undeniably marks it of its time. For Kaiser this compilation is about reintroducing music during a period of reappraisal, catching a new wave and hoping contemporary listeners will ride it with him. "The idea is to do justice to these songs. Songs that combine all the right ingredients that should have put them on radio playlists when I was growing up or at least in the cases of more adventurous DJs." Millos Kaiser is a DJ, digger, vinyl junkie/dealer born in Rio de Janeiro and living in São Paulo for the past eight years. He launched the dance party/club night Selvagem with partner Trepanado in 2010, bringing thousands of dancers one Sunday a month to a public square in the heart of São Paulo. RIYL: Music From Memory's Outro Tempo Brazil compilation (MFM 016CD/LP, 2017), Spacetalk compilations, Sabor Do Brasil compilations, Selvagem's Boiler Room set, Mr Bongo's Brazilian compilations. Features Ricardo Bomba, Vânia Bastos, Rosana Mendes & Grupo Veneno, Grupo Controle Digital, Villa Box, Batista Junior, Dado Brazzawilly, Anacy Arcanjo, Fogo Baiano, Dodô Da Bahia & As Virgens De Porto Seguro, Via Negromonte, Electric Boogies, Os Abelhudos, Nanda Rossi, André Melo, and Região Abissal. CD version includes 20-page booklet. Double LP version. Gatefold sleeve. 16 rare synth cuts from '80s and '90s Brazil, compiled by Brazilian DJ Millos Kaiser. Some crate-digging compilations are often the result of someone hand-picking their choice favorites from another country's musical history, perhaps unaware or uninvolved with its cultural lineage in the process. On Soundway's latest release -- a treasure trove of synth jams, pop, samba boogie, Balearic, and electro from '80s and '90s Brazil -- the tracks are picked by Millos Kaiser, one half of the Brazilian duo Selvagem, who are at the helm of throwing some of the country's best dance parties. It's a rare compilation that offers Brazilian music actually picked by a Brazilian. Whilst names such as Ricardo Bomba, Villa Box, Fogo Baiano, Electric Boogies, and Batista Junior may not be household names, they tell an untold, yet rich and important part of musical history in Brazil. The release also covers a decade that has been intentionally forgotten and brushed aside by many in the country. Onda De Amor is a release that is loaded with smooth grooves, bubbling bass, glistening synthesizers, funk-strutting guitar lines, and sheen of production that undeniably marks it of its time. For Kaiser this compilation is about reintroducing music during a period of reappraisal, catching a new wave and hoping contemporary listeners will ride it with him. "The idea is to do justice to these songs. Songs that combine all the right ingredients that should have put them on radio playlists when I was growing up or at least in the cases of more adventurous DJs." Millos Kaiser is a DJ, digger, vinyl junkie/dealer born in Rio de Janeiro and living in São Paulo for the past eight years. He launched the dance party/club night Selvagem with partner Trepanado in 2010, bringing thousands of dancers one Sunday a month to a public square in the heart of São Paulo. RIYL: Music From Memory's Outro Tempo Brazil compilation (MFM 016CD/LP, 2017), Spacetalk compilations, Sabor Do Brasil compilations, Selvagem's Boiler Room set, Mr Bongo's Brazilian compilations. Features Ricardo Bomba, Vânia Bastos, Rosana Mendes & Grupo Veneno, Grupo Controle Digital, Villa Box, Batista Junior, Dado Brazzawilly, Anacy Arcanjo, Fogo Baiano, Dodô Da Bahia & As Virgens De Porto Seguro, Via Negromonte, Electric Boogies, Os Abelhudos, Nanda Rossi, André Melo, and Região Abissal. CD version includes 20-page booklet. Last copies of this 2016 RSD release. This album, one of West Africa's very rarest, was recorded for the Decca label in Lagos and only ever released in tiny numbers in Nigeria in 1975. A rich mixture of poly-rhythmic Afro-soul, jazz, highlife, and Afrobeat it has an undeniable flavor with Joe Mensah's arrangements, keyboard playing, and vocal style adding an extra sophistication to proceedings. This is the first time the album has been available in its original format since the mid-1970s. Four slices of disco-dub heat focused on the Heads label out of South Africa -- a sister 12" to Gumba Fire (SNDW 124CD/LP). William & The Young Five's "You Turn Me On" is a meaty, classic early '80s disco jam. New York's JKriv takes elements of the vocal and dub and reworks them into a condensed dancefloor winner. Sofrito's Frankie Francis gives Adaye's 1980s track "Turn it Up" and the Manyane cut "Thabong" the cut-up treatment, focusing heavily on the spaced-out weirdness of the dub versions. The set ends with "Picnic" by the mostly instrumental studio outfit Starlight. 2017 release. This single is of the two first ever recordings by Fela Ransome Kuti with his band The Highlife Rakers. Recorded by Melodisc in London in 1960 both tracks have been unearthed after more than fifty years in hiding. 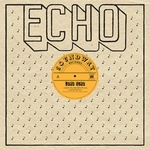 This 7" was originally released as a bonus to Soundway's vinyl edition of the compilation Highlife On The Move - Selected Nigerian & Ghanaian Recordings From London & Lagos - 1954-66, but due to an accidental over-pressing the label made a small number of these 45s available for sale individually. Limited edition pink neon and blue neon double LP version. 2017 release. Deconstructed musical forms from the kingdoms of Uganda lead by London producer Jesse Hackett, multi-instrumentalist Albert Ssempeke, and singing legend Otim Alpha. Limited edition LP version. Splatter vinyl. 2017 release. Harmonies is the new long-player from underground super-producer Lord Echo. Hotly anticipated for years by his growing entourage of fans, the new album solidifies his already distinctive mutations of reggae and rock steady with disco, African soul, techno, and spiritual jazz. In other words, the Lord has returned from the wilderness with a bounty for his followers.